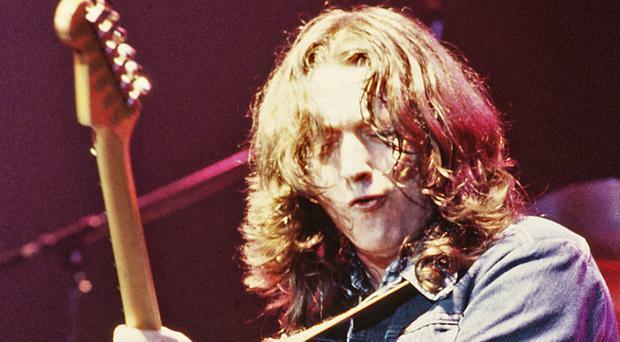 The Ulster Hall is set to get a new statue - and it is understood it will be of Rory Gallagher. Belfast City Council's planning committee is next week set to consider an application to erect a statue of the Co Donegal-born musician - who brought fans to the iconic venue in their droves at the height of the Troubles - at the front of the building. Gallagher is recognised as one of the greatest blues-rock talents in modern music history and has been widely recognised for his gifts as a multi-instrumentalist and songwriter. He was particularly loved by his fans for his charismatic performances on-stage. Although the Taste frontman was born in Ballyshannon, and later moved to Londonderry, Belfast - and particularly the Ulster Hall - is widely recognised as the starting point of his illustrious career. Gallagher has been credited as inspiring Eric Clapton to "get back into the blues", while the Rolling Stones reportedly wanted him to replace Mick Taylor. And when Jimi Hendrix was asked how it felt to be the world's greatest guitarist, he is reported to have said: "I don't know, go ask Rory Gallagher". The applicant for the statue is the east Belfast-based Wilgar Community Forum, who have been fundraising to realise their dream for more than a year. The group had been aiming to raise around £50,000 between fundraising events and lobbying government. It also hopes to develop a smartphone app which it says will tell the story of Gallagher and his connections to Belfast, and a mini-museum along the walls of the Bedford Street music hall. Last year a group spokesman said they wanted to acknowledge Gallagher's legacy and also to get a visible, tangible statue. "While he was born in Ballyshannon and moved to Cork, his story really is in Belfast," he said. Gallagher received a liver transplant in 1995, but died later from complications at the age of 47. The application will be considered at the next meeting of the council's planning committee next Tuesday evening. Officials have recommended approval. The committee is also set to consider a proposal to erect a three-metre high bronze sculpture of a boxer within Woodvale Park in north Belfast to recognise boxing success in the Greater Shankill area.